Hi there! 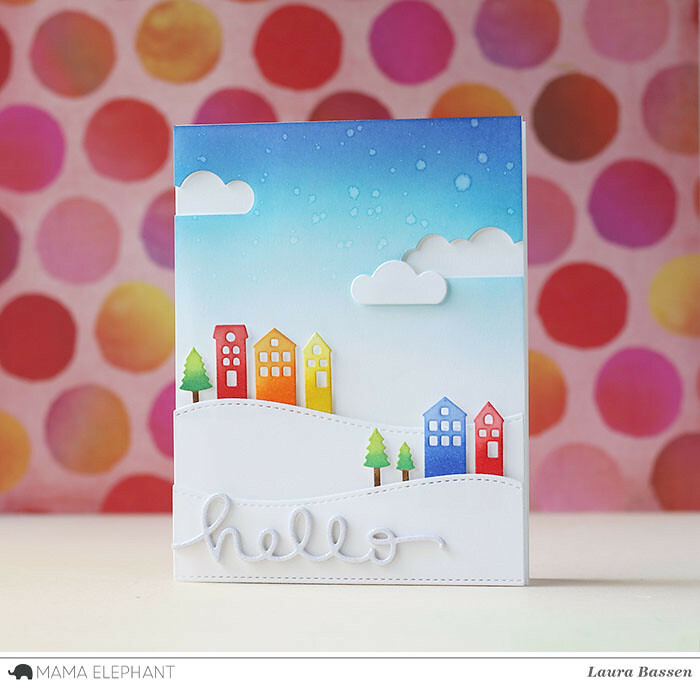 Laura here and today I have a fun project to share with you featuring the On the Hills Creative Cuts. To begin I blended distress inks on the background for the sky and then die cut two of the clouds into the blended background. I die cut the houses & trees and blended distress inks onto them as well and tucked them behind the hills. 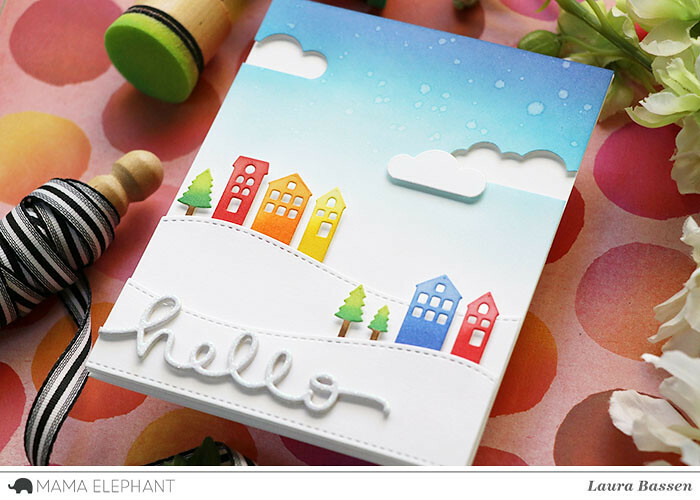 For the sentiment I used the "hello" word die that is included in the On the Hills set and stacked several together for dimension topping it off with one that was cut from glittered cardstock. This is so sweet with all those beautiful colors! love the happy look of the card. Darling scene and colors. I love the house dies. Really happy colors. This is a fantastic card!! 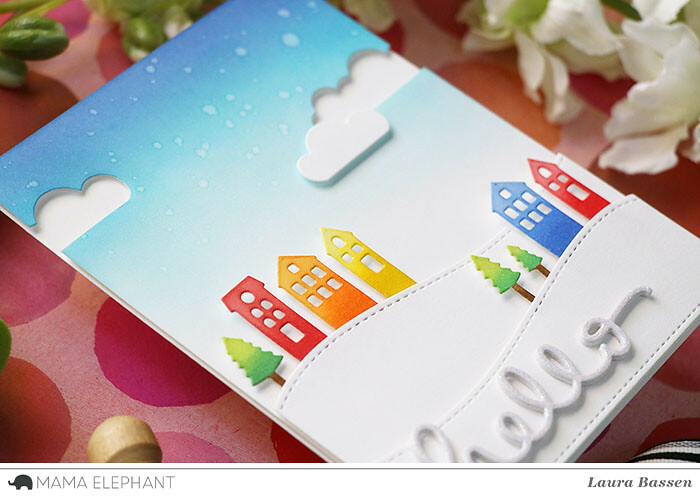 Love the beautiful blend in the background and the colorful buildings :) Lovely!! 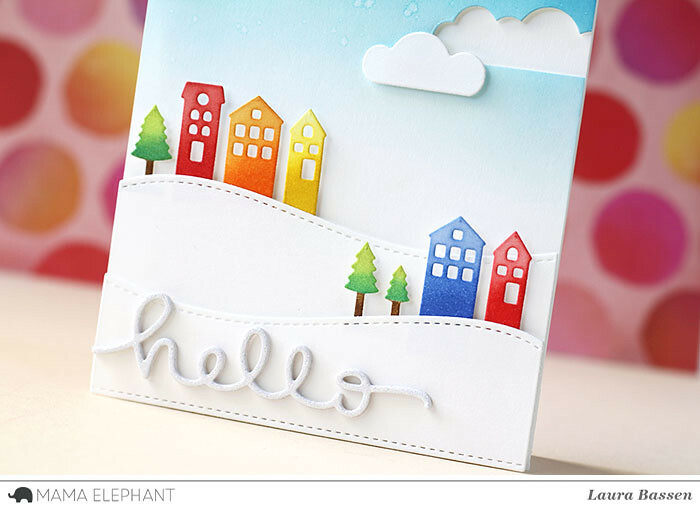 I saw your card over onto your blog and said how adorable I think it was. I really the cloud feature !